If you are tired of nonworking and slow proxies it`s time to start using VPN service. * No need to check regularly (as proxy).VPN servers are available all the time. Anonymous Virtual Private Network gives you the best shield for you daily surfing and work in World Wide Web.VPN is the most secure kind of protection that provides you extreme anonymity. VPNLAND (Blacklogic) average rating: 2.9 /5 based on 33 reviews. $15 down the toilet. Yep, Blacklogic is a scam. I’m glad I didn’t pay by credit card otherwise they would probably bill me again and again for no service. Stay far away from these crooks. I wish I saw this review site before signing up with them. 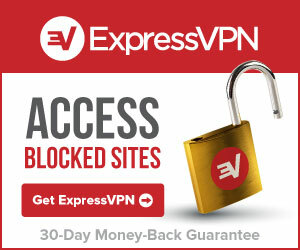 Created an account just now on vpnreviews.com so I could warn others about these scammers. Forgot to give the stars. They are five stars. I am a longtime happy camper having used Blacklogic, Inc for VPN service for over 5 years. They have consistently provided good service. Just from the flame from blacklogic, and the very bad attitude, I’ll never use this service, just shows the mentality involved with this company. Why don’t you leave your real name? scared? 1) We don’t care about slow torrents. Screw torrents. p2p download works – good. p2p doesn’t work – your and only your problem. We are not even going to do anything if you have p2p problems. That’s it, we also impose traffic shaping on some servers and kill torrent traffic. 2) Normal Internet works very well and we do everything to provide fast NORMAL Internet (WITHOUT TORRENTS)!!! 3) Not happy – you can leave at anytime. DO NOT PURCHASE THEIR SERVICE. SURE THEY HAVE A BUNCH OF SERVERS BUT IT’S A GAMBLE WHICH ONE IS WORKING TODAY AND WHETHER ITS BANDWIDTH WILL BREAK 15KB/S. AVOID LIKE THE PLAGUE. First off, I would like to dispel these fears that Blacklogic is a scam website. 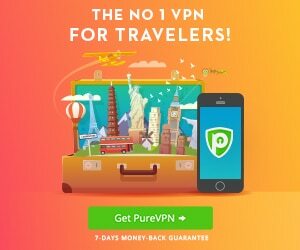 Two months ago I signed up on their website for a year’s worth of VPN. The process was easy and I was soon surfing the web using the Blacklogic proxy. I have not had any complaints about the speed of the proxy or contacting tech support. After reading all of these negative reviews, which were so completely dissonant with my great experience with the website, it dawned on me that the explanation had to relate to the difficulties involved in running a business. That is, I think that the owners of this business must be swamped by the number of customers, and must not have their accounting and database software up and running properly. So, judging on my experience, new customers, while taking into account for the negative reviews, should give Blacklogic a go. I think that Blacklogic is a business that still needs to get it together, but provides an excellent service. They replied to my emails after repeated contact which left me exhausted. They told me they were sending the activation repeatedly…and I waited each time and nothing arrived. They led me round in circles until I was so fed up. I never got a refund.